Some chefs love subtly in their cooking style while others love to be big and lavish. The art of fine dining is in the little nuances but sometimes bold and daring is what catches the eye’s attention. For Chef Marc Marrone, the Corporate Chef of TAO Group, big, bold and lavish are already taken care of before a single guest ever makes it to the dinner table. 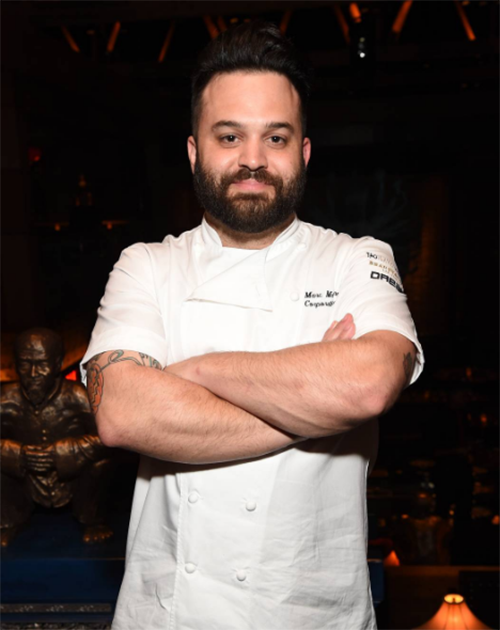 Chef Marc has mastered the art of high end dining for the lovely, jet set crowd overseeing restaurants such as TAO Vegas, LAVO, and Marquee Day Club as well as new additions in Los Angeles like TAO L.A., Highlight Room, Beauty & Essex, and Luchini Pizzeria and Bar. There’s no subtly in these spaces as it’s all about impressing and indulgence, and Chef makes sure that the level of the cuisine doesn’t get lost in the shuffle. French Culinary Institute and worked his way up the TAO Group kitchen ranks working closely with Chef and Partner Ralph Scamardella. Classically trained in French cuisine with a background in Italian style dishes, including recipes handed down from his family, Chef’s ultimate passion lies with Asian fare, where he really gets to shine with the fantastic fare at TAO. With cooking styles that must satisfy people out for a pricey good time, Chef excels at Asian and Italian cooking, as well as seafood (I still remember the Chilean Sea Bass with a miso-marinated glaze that I had years ago at TAO Las Vegas as it still ranks as my favorite seafood dish ever) yet it’s refreshing how proud Chef is with his new hamburger on the Lucchini menu. He really does it all. The following is ten questions with Chef Marc Marrone. Is there something that connects or identifies a TAO group establishment? The idea and feeling of being transported somewhere, we really want you to feel immersed in the venue and experience. 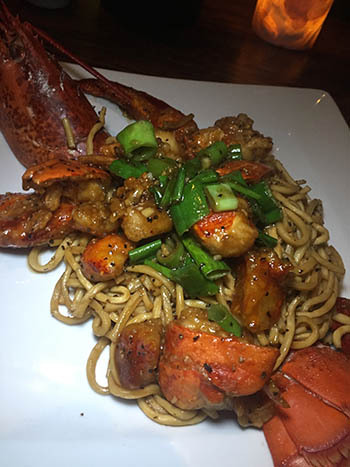 The food, décor, and service really has to have that TAO group sizzle, no matter which of our venues you go to and you can really feel that when you are in any one of our venues. 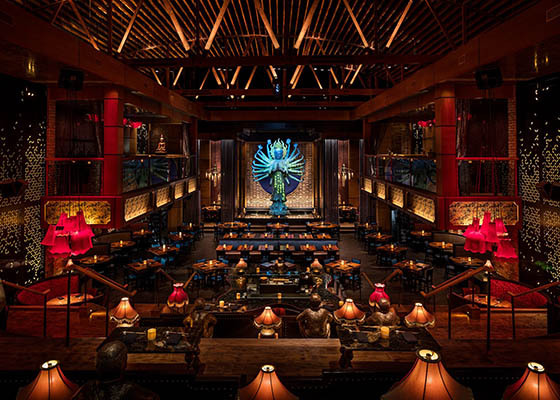 TAO is the group's flagship restaurant and you just opened a new TAO in L.A., which is an absolutely beautiful space. What was the biggest challenge opening the venue? The biggest challenge is always the balance of transporting the culture and “feel” we have in each restaurant, but also wanting the new venues to have their own identity as well. We really challenge ourselves to push what we already do and what’s already been successful and make it better. We try every opening to push the food, push the style and up the bar. You also recently opened Luchini in Hollywood. Is pizza a new food type for you? How did you approach opening a pizza joint? Pizza has always been a favorite food of mine. It is one of my favorite things to make at home. We also have been serving a great pizza at LAVO in Vegas for years, so this concept was more about creating a real NYC style slice, which we all love. A lot of what TAO does is centered around nightlife / club life where a lot of drinking will be involved. How important is it to you and the group that the cuisine meet and exceed all expectations? It’s the top priority to all of us at the group that each part of the experience exceeds all expectations. Our goal and really a pillar of what we do is to go above and beyond with each part of your evening experience. Also, given our venues really have a “wow” factor from the moment you walk in, it’s really important we continue to deliver with the food. It has to be as “wow” as the décor and service. 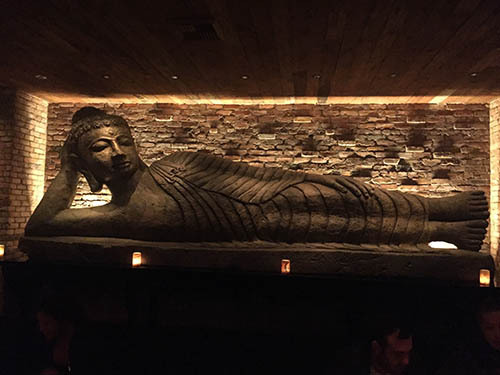 What would you say is the signature must-have dish at TAO and Luchini? 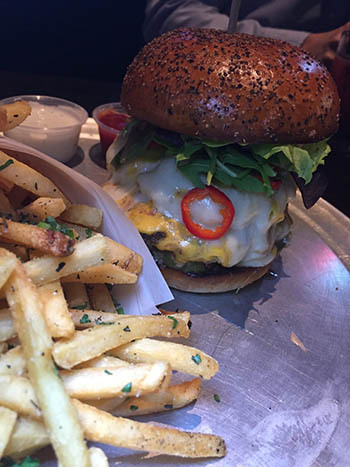 At Luchini, the pizzas are the start, but I have to say the burger is really one of my favorites and a great alternative to the pizza. The Burger is a top seller, especially after I had it posted on social media. For TAO, we have such great dishes that could be called classics. I like to really get people to try the items like the dim sum, which we handcraft daily from the skins to hand-chopping the fillings. Entrée wise, our Crispy Snapper in sand is a classic, and I love our Peking Duck. I am from New York. I attended the French Culinary institute and various restaurants in NY and Seattle. I started at TAO midtown ten years ago. Currently I oversee seven venues between L.A. and Las Vegas. As any job has its challenges I’m very fortunate to have great chefs in every venue who really are the best in the game. It is really surrounding yourself with people that truly believe in what you do, wanting to give the guest the best experience possible and treat the venue and team with the upmost respect whether I am there or not. I think we have done that and created a great team that all buys into what we do, which makes overseeing multiple venues and expanding as a company more manageable. I get great support from all the TAO group partners daily, especially Chef Ralph who really drives the bus with pushing the culture and desire to make the best food possible every day. 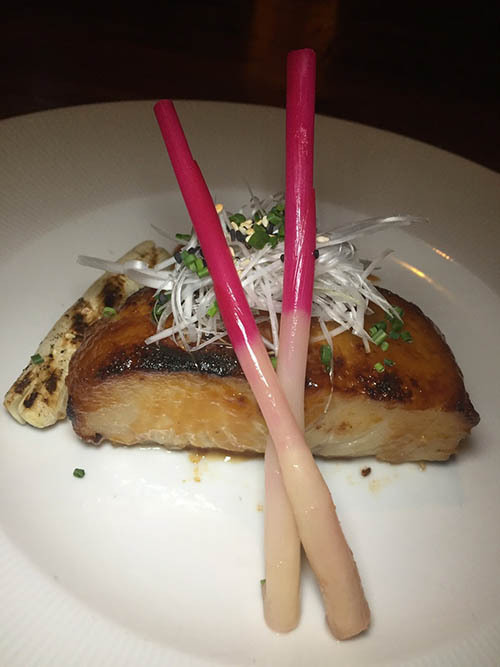 At TAO Las Vegas, the sea bass is a popular entrée but in NY and L.A. it is an appetizer and the black cod is the entrée. How do you tailor a menu for different cities and venues? Is there a menu item you feared wouldn't work in L.A.? When we open a new TAO venue we really want to make sure guests can get the classic TAO items no matter where they visit, but also are able to get something new and special to the new location. It also works in reverse, we want to make sure that items that people love and come specifically to enjoy stays on the menu there, like the sea bass in Vegas. It was less about worrying something wouldn’t work in L.A. but more so how can we make an impact and get a new city really excited to come try TAO and really be blown away and want to continue to come back. I can for sure say the sushi at TAO L.A. is a huge part of our menu mix, more than any other city. With that in mind, we focus on ensuring we have plenty of options there and take a classic light bright approach to new dishes in L.A. The noodles at TAO were spectacular. Would you consider them a signature dish? What sets your noodles dishes apart? I think noodles are one of the ultimate comfort foods in every culture. They are a great vehicle to showcase any ingredients you want. Also, it’s a great way to give someone a “comfort food” but also dressed up and high end enough for a special night out. It’s really the best way to get both worlds. What do you hope someone takes away from their experience at a TAO group restaurant? I hope they really walk away happy that they were able to spend a whole evening with us and really felt like it was a true escape and adventure—from the lounge bar all the way to dessert, TAO Group always exceeds expectations.